The government’s response was immediate and harsh: mass arrests and a purge of not only the military, but also civil servants, judges, academics, and political opponents. President Recep Tayyip Erdogan condemned cleric Fethullah Gulen as the chief conspirator and demanded his extradition from self-imposed exile in the United States. Meanwhile, some opponents of Erdogan suggest that the government orchestrated the attempt as a “false flag” operation to consolidate power and crackdown on dissidents. 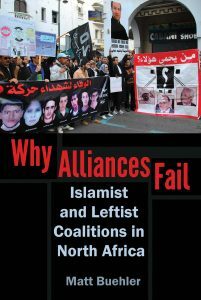 Turkey is not new to coups, but looking at previous conflicts and the political science literature on coups can tell us why this failed attempt is unique and what its repercussions will be in Turkey and the broader Middle East. 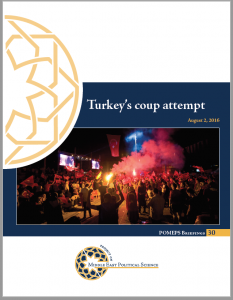 The pieces in POMEPS Briefing 30 offer insightful and timely analysis from top scholars of the region published in the Monkey Cage blog on the Washington Post. Read the collection here.